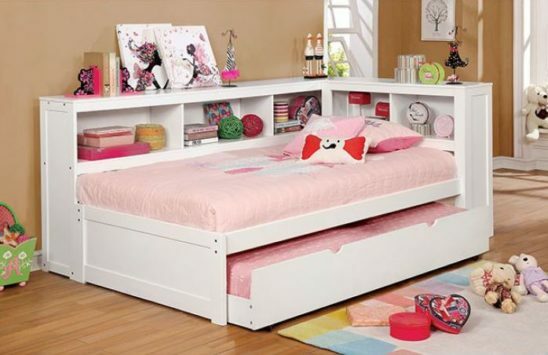 This daybed is a ideal space saver for your child. 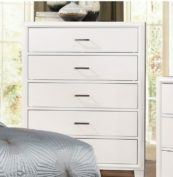 The corner designs allow this daybed to be tucked into a corner and open up the space. The bookshelf sides provide ample amount of space for books and keepsakes. 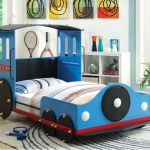 The optional trundle is a wonderful add-on for sleepovers.